Winter Blowout Sale – Happening in store NOW! We’re clearing the way for some beautiful new pieces at our 1244 Wellington Street West location! If you’re in the market for some gorgeous furniture to outfit your nursery, make sure you have a look at what we have on offer! These great collections include Green Guard certified items- the best way to ensure a safe and healthy nursery for your little one. B.Toys are funky and fun- With gorgeous packaging to boot! The perfect gift of all ages, but especially wonderful for our Terribly Awesome Twos. The Alphaberry ($31.99) models itself after Mom or Dad’s Blackberry, and teaches letters at the push of m any buttons! If the classic Flip-Phone is more your style, then B.Toys has a Hello-Phone ($21.99) with pre-programed conversation to keep your child yakking away to Santa while you catch up with the relatives. Shiver me Timbers- check out this B.Toys Fish & Splish! My love of all things nautical aside, this great toy is perfect for bathtub fun. Practice your best Sea Shanty while fishing off the starboard bow for $31.99. Or get creative with the incredible (edible!) Clementine art line. Crayons, paints, markers or Play Dough, all are available in store and online for your budding Picasso. From $7.99 to $19.99, these gifts will work well in stockings and under the tree. The Janod Kubix is another great gift to foster imagination in your child. Stack these colourful blocks in all kinds of ways for hours of entertainment- and the use of water-based paints make for safe chewing. Available in two sizes; 50 pieces are $29.99 and 100 are $49.99. If classic Rudolph and Frosty are on TV, grab a seat in the comfortable Monte Design Cubino Chair ($119.99) or Loveseat ($149.99). The machine-washable cover will help clean up any hot chocolate spills. 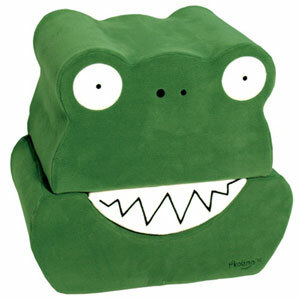 And trust me, your little guy will love having their own chair. So grown up! A whole different type of sitting is on your horizon, parents of Two-Year-Olds. Maybe Santa should bring a potty-training aid to make the whole experience more pleasant? The Prince Lionheart WeePod is a cushiony seat that suction cups to your existing toilet. At $22.99 you can choose from Pink, Blue and Grey. Whether you’re hunting for toys, clothing, furniture or Potty-Assists, we’ll be able to help you out! Come by for a visitat 1244 Wellington Street West and 755 Bank Street in Ottawa or 286 Danforth Avenue in Toronto. 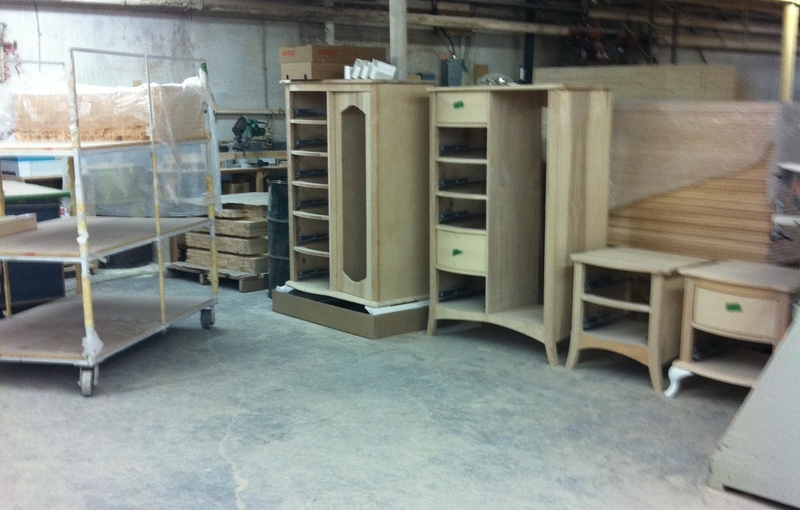 We’ve had quite the busy time here at Fab the past couple of weeks- our furniture floor models are ON SALE! We hardly ever mark down furnishings, so now is your chance to scoop up a fantastic deal. We’ve already parted with our beautiful Walnut Leander Crib, the gorgeous Dutailier Papaya nursery set, and too many Monte Chairs to count. The mega-sale is all in the name of bringing in new pieces. New colours, new styles, new everything! 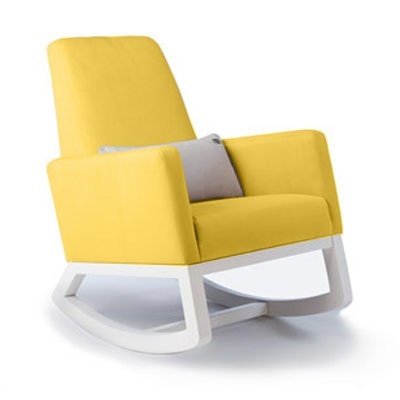 Monte Design is now offering sunny yellow fabric, which I think is particularly wonderful on their classic Joya Rocker. 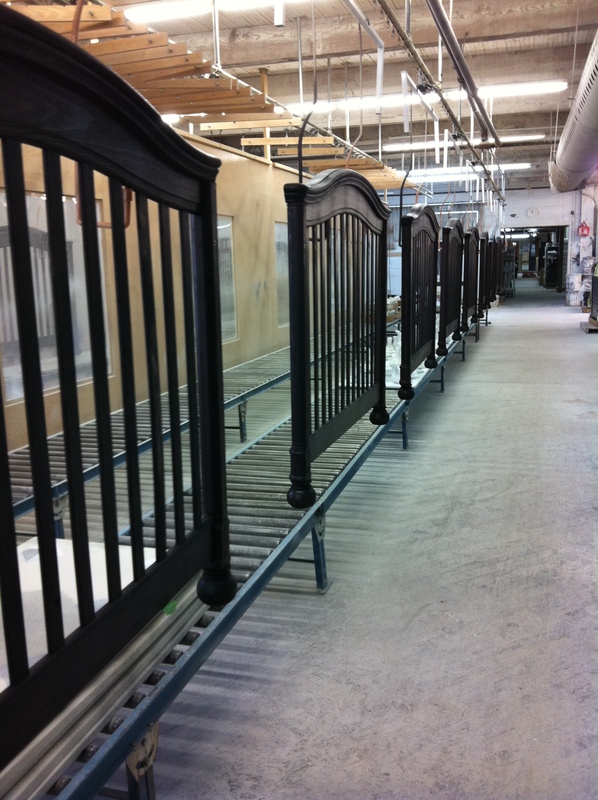 If you’re planning your nursery, now’s the time to come visit- our awesome staff can explain how each piece converts into a larger bed or what Green Guard is, for mommies who want to be in the know. And, seriously, the best aspect of a floor model sale has got to be cutting down on waiting times. When planning your nursery, do remember to keep in mind that custom furniture can take as little as 4 weeks, or as many as 12 weeks to arrive at your door. All of our pieces are built to order, so nothing collects dust in a warehouse! If you’re under a time crunch, floor models are a great option. New today, we’ve marked down the All Seasons and Mix Twin Panel Bed Set even further to 30% off. These guys have only been on the floor since May, and are in great condition! Planning your room? Check out this great blog by Young America. It’s all about setting up a nursery fit for your little one- I absolutely love the looks that they’ve come up with! Specifically the book wall- what a perfect little library for your burgeoning bookworm. Be forewarned, Fabbies, pieces are going quick! Come visit our Flagship location at 1244 Wellington Street West today! My sister is a mere 8 days away from her C-Section, and thus the birth of her second child. Throughout her pregnancy, my fam has been making periodic checks with my nephew Oscar, saying things like “Are you excited to be a big brother? Do you want to help Mommy take care of a baby?” And yet, he still seems mystified by the concept that my sister might be bringing another person into their small family. In fact, for the longest time he thought he’d be helping Mommy take care of another person’s baby. To ease the transition, she’s been hard at work creating a Big Boy Room that is all his own! Since his Mighty Machines obsession is at an all time high (Seriously, what 2 year old knows the word “Hydraulics”?? ), the theme is very constructional. No matter what the theme, I always suggest the colourful products from P’Kolino when customers are searching for the perfect pieces to furnish their growing one’s rooms. 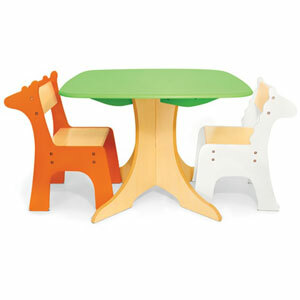 Safari-themed furniture is a whimsical and unique way of looking at everyday items. 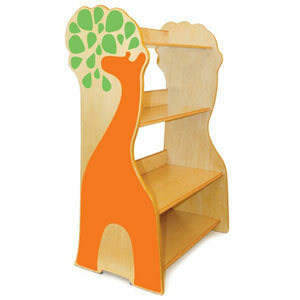 The P’Kolino Bookshelf and Tree Table are gorgeous- and totally gender neutral. I picture these with some great tree wall decals and a giant stuffed monkeys. I’ve personally built the Bookcase, Tables and Rocking Chairs- which is saying something. Unlike my Mr.Fix-It husband, I do NOT know my way around an allen key. Their simple construction was quick- and well-explained! With a mantra like “make better products to improve play at home” the founders of P’Kolino have set themselves up as a light-hearted company- building quality pieces of furniture with the safety of an adult mind and the excitement of a child’s. The founders are two Florida-based fathers, J.B. Schneider and Antonio Turco-Rivas. They are extremely talented at creating convertible pieces that function in multiple facets. A Toddler Bed that turns into a large chair? A Puzzle that can be completed in a myriad of ways? They’ve got them! My personal fave would be the Silly Soft Seats. 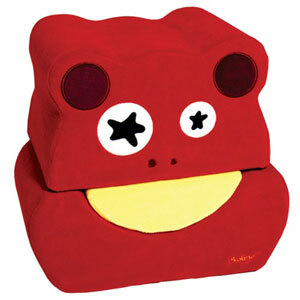 These happy faces are actually three soft pieces that can be separated for play or sat on with a great book! Available in 5 different colours; purple, blue, orange, red or green. 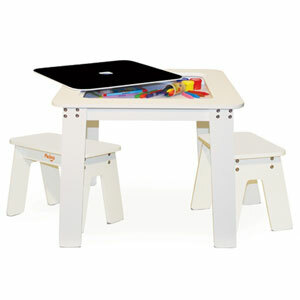 If Play-for-Two is on your mind, how about a Child-Height table that features a removable chalk-board top? We’ve got a floor model at our Wellington Street location, should you fancy giving it a try! Decorating for your toddler can be difficult! They’re on their feet and scurrying about, which can cause a safety concern. Make sure that whatever you choose, there are softened edges and that the items are height-appropriate. Many parents find it helpful to travel their room at their child’s height- kneel in different areas to determine possible hazards and how to avoid unwanted accidents! You may also want to avoid any complex designs and patterns – keep the room full of bright colours and developmental props, such as flash cards and puzzles. And you might also want to avoid characters or items that are of a passing fancy. If your little one adores a particular cartoon character, will they always? Choose pieces that have an heirloom quality- that special something that will create great memories, and can be passed on to future generations! One of our fave suppliers has opened their doors through the lens of a camera! If you’re curious as to how Monte chairs are manufactured, check out this 2 minute collage of photographs that represent daily life at their Toronto factory! How It’s Made : Fab Edition! Growing up on a healthy diet of Popular Mechanics for Kids has left me with an appetite for learning how things are made. Needless to say, when I was asked to go on a tour of the Natart factory, home of Tulip and Leander, I jumped at the chance! Leaving my jealous loves-to-build-Husband behind I set off on a 5 hour car ride into the wilds of Quebec with our fearless store manager Paisley. Passing Montreal we drove through the tunnel, alongside Granby Zoo, and then arrived at our destination- a small city in the Maple Region called Princeville. We were greeted by the friendly staff who were keen to show off a gorgeously appointed training room complete with an authentic Espresso brewer! A quick tour through the showroom and a look at some prototypes made it clear that they’ve got some gorgeous new tricks up their sleeves! Tony, one of the founding brothers, hosted our tour and was keen to show off their innovations as well as the time-honoured techniques that they brought with them from Italy in 1995. The state of the art machinery was impressive to say the least, but the skill with which the workers manoeuvred was undeniable! These same workers are both training and teaching at the nearby woodworking college that is run by Natart. This college has 170 people currently enrolled and is recognized by the Quebec ministry of education. 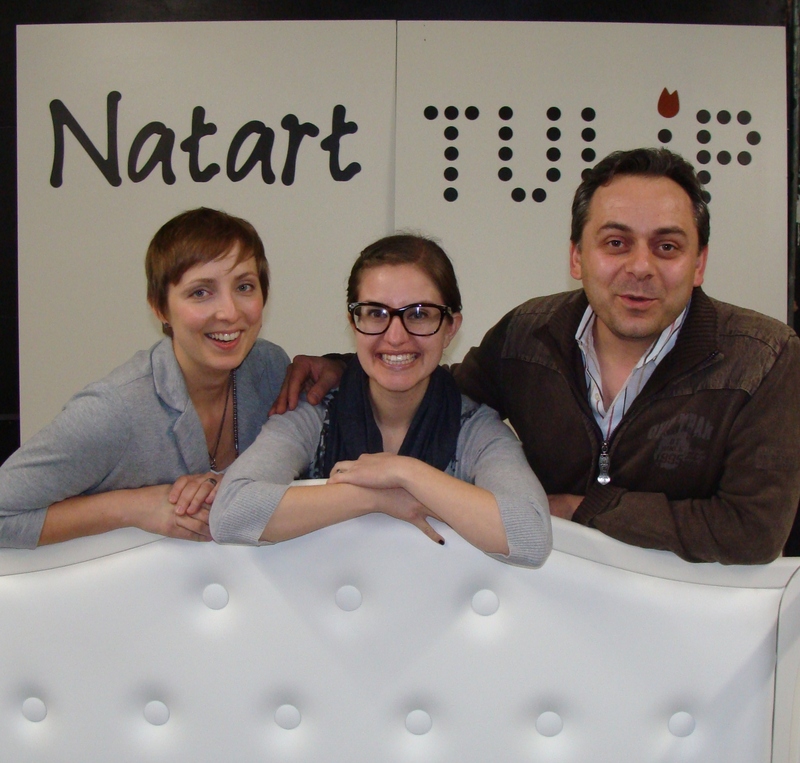 Each year, the two highest graduates are hired into the Natart family. They truly believe that skilled workers are the solid foundation upon which their company is built. Their attention to detail was evident as we passed by stations for shaping, sanding and creating the dovetailing on the drawers. A dovetailed drawer is particularly resistant to pulling apart- the edges include ridges that slot into each other, and even without glue I found it difficult to separate! 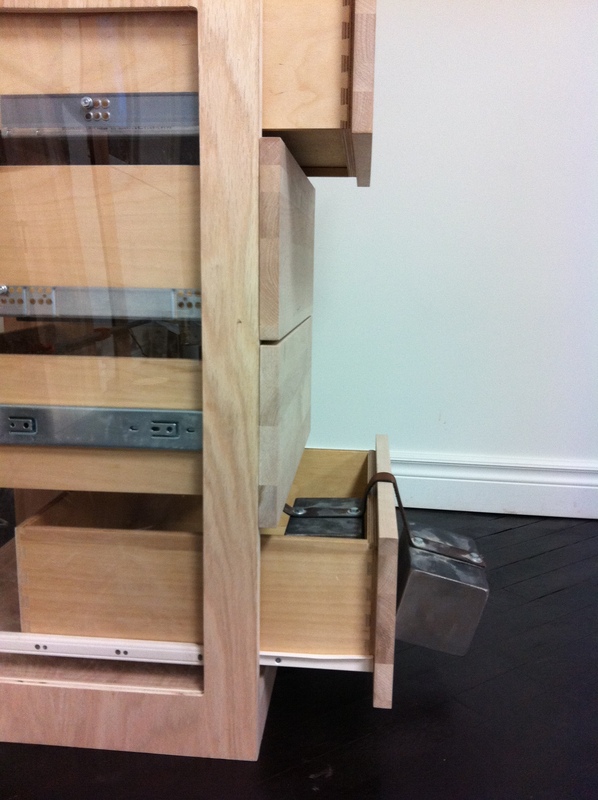 This is because the exit end is larger than the entry, so once you’ve pushed the grooves together, they’re staying put. The best way I can explain how advanced their machinery is would be to liken them to smart phones- it sounds overly simplistic, but it’s true!! 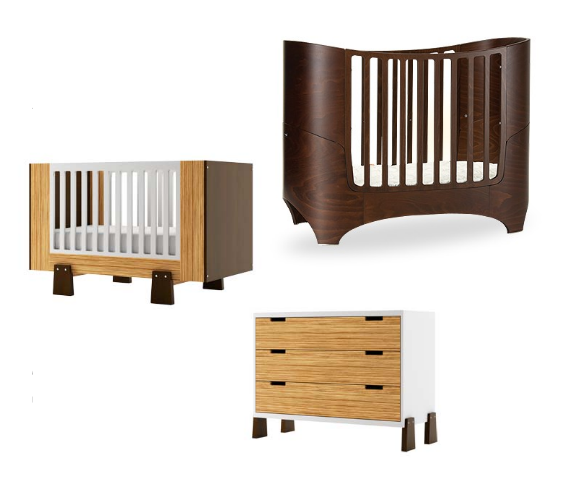 Each piece used to create the beautiful cribs and dressers that you see on our sales floor carries a code, and each machines reacts to the code appropriately. My favourite of these machines was named Leonardo. Leonardo is a painter, of course, and his artistic eye is impressive. A skilled painter (human, this time) holds Leonardo’s biometric hand for the first few tries at painting a new piece, and then he’s able to replicate this action over and over until it’s time for his nozzle to be cleaned. Leonardo is used for pieces with curve appeal- such as the Allegra. Flat pieces are painted using a gravitational pull- they’re laid on a conveyor belt and pulled through a machine that sprays back and forth in even strokes. Natart is Eco-conscious and this was extremely evident when I noticed that they were recycling all of the over-spray left on the conveyor belt. They’re also testing immersion painting (where pieces are dipped into the varnish) to see if this produces less waste and a longer-lasting finish. The family atmosphere and local sourcing really serve to create a dynamic product line. The attention given to each piece and the distinct love of craftsmanship are held up by four important legs- safety, durability, sustainability and style. The company is taking huge steps to protect who they believe are their most important clients- Your baby. All of the Insert nuts are glued and placed into a hole that is 1 mm thinner to ensure they don’t pop out. Lock washers are used so that once a screw is tightened, it won’t loosen overtime. 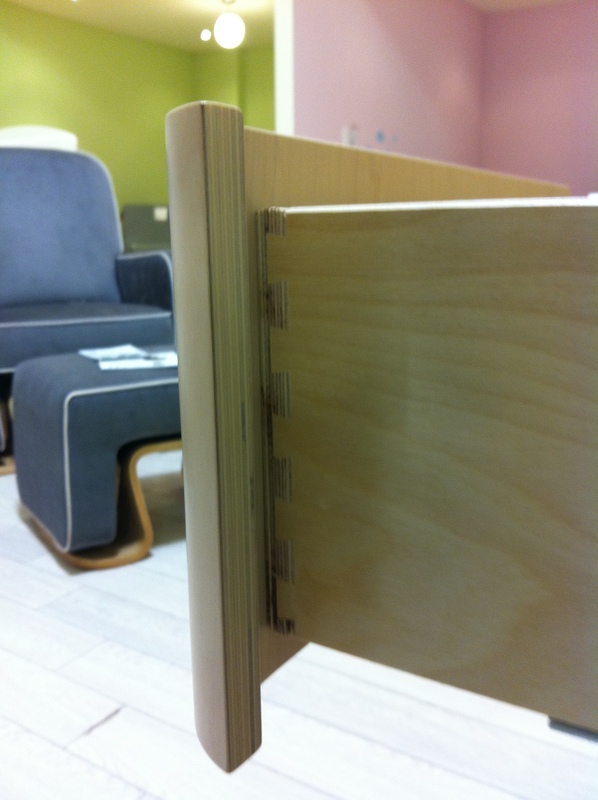 Anti-tipping pieces come standard, pre-attached to the furniture and there are panels added to the back and base of each piece to increase stability. The drawer glides include locking mechanisms so that drawers cannot be pulled all the way out, changing the centre of gravity. Throughout our tour we continually touched upon the idea of Green Guard certification. This fascinating process is a way of testing the off-gassing qualities of furniture. Natart, Tulip, Leander and Essentia mattresses are all certified under the Green Guard umbrella- in fact, they were the first juvenile furniture company to gain this certification. If you’re interested in learning more about the process, check out this great story from Good Morning America. I could go on and on, but instead I’ll say- stop by 1244 Wellington Street West for a look at the beautiful (and well-crafted!) pieces that Natart has on offer, and ask our staff members to give you a personal tour around the safety features of each piece. Not only does Natart convert into larger beds to grow with your child, but they also ensure wholeheartedly that your child is doing that growing in a safe and healthy environment! Enter your email address to subscribe to our FAB Blog.